Scientists disseminate the results of their research and move scientific knowledge forward primarily by means of written scientific papers. The goal of this 2-hour workshop is to make you more confident at writing and publishing papers. We will discuss how to construct papers that communicate your research effectively, paying particular attention to titles and abstracts. Federico Levi will provide insights on the inner workings of scientific journals to learn how make the most of the submission and publishing processes. Federico re-joined Nature Physics in May 2017, having previously been a Senior Editor and Team Manager at Nature Communications. His studies began with an MSc at the University of Milan, where he specialized in theoretical quantum physics, in particular the mathematical aspects of open quantum systems dynamics. Following this, he obtained his PhD in Physics from the University of Freiburg where he studied entanglement theory and energy transfer in disordered systems, with an interest in identifying quantum effects in biological processes. 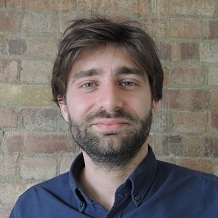 Federico is based in our London office.